I never thought I’d be so excited to have skirting boards. But, there you go. 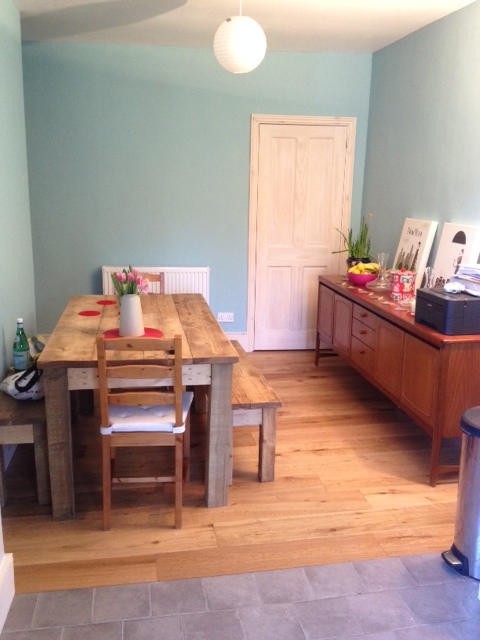 Work has finished on our kitchen/diner, finally. We have a floor! 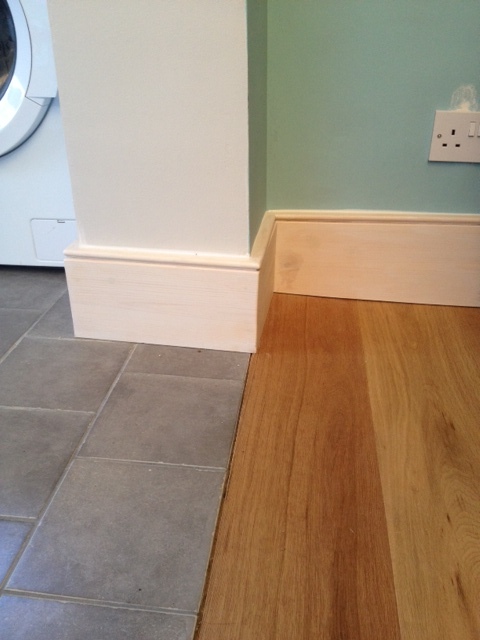 Skirting boards! A new door! A roof that doesn’t leak! True progress indeed. 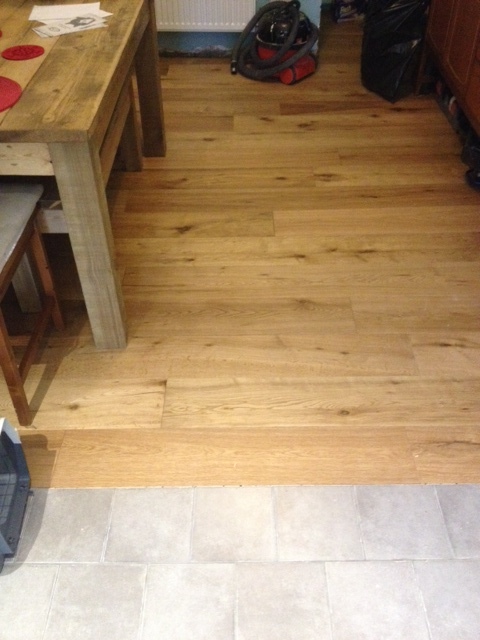 It’s amazing what a difference having a new floor makes. For the first few days I kept forgetting and being nicely surprised every time I walked into the kitchen. Next up was the skirting, door frame and finally new door to our cellar top. For the last, hmm, two or three months we have been staring at a mess of tools, buckets, recycling while we’ve been waiting to finish this stage. Et voila. Here’s to skirting boards and doors! 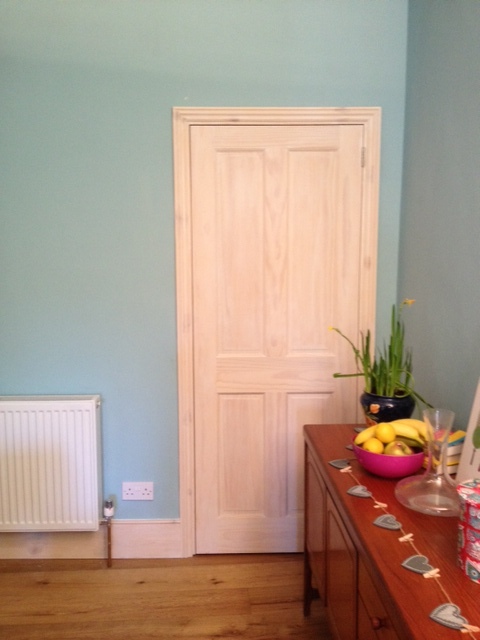 Skirting boards and door are primed and ready to be painted. I think, knowing how long this might take me, and the precision of the work, I might treat myself to a painter/decorator for this one. It will be the very final thing we need to do in the kitchen diner. Then it’s just selecting the pictures for the walls and we’re done. One whole room will be complete! 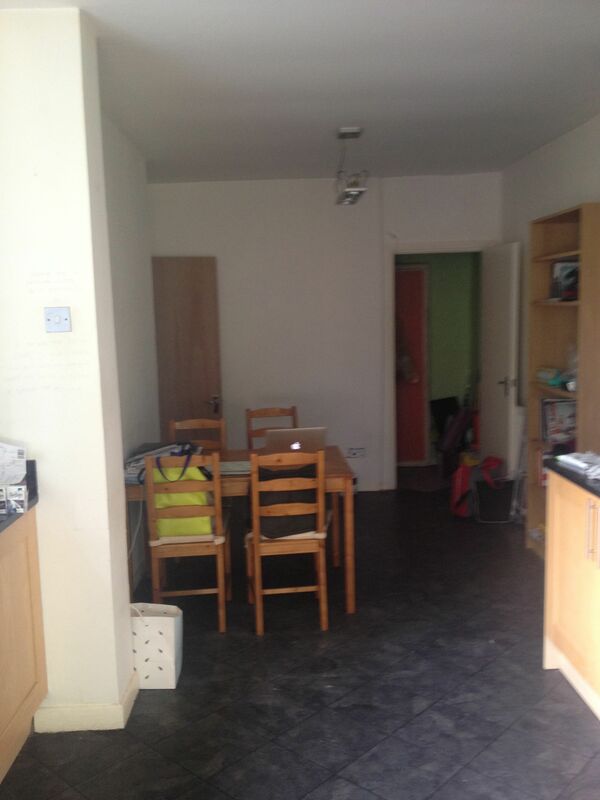 When I think of this room when we moved in – not much natural light, dark cupboards, low lights, dark floor and dark work surfaces – it was definitely a room we didn’t like spending that much time in. Now, it’s totally become what we wanted it to be – the heart of the home. So, who wants to be next to come for dinner?